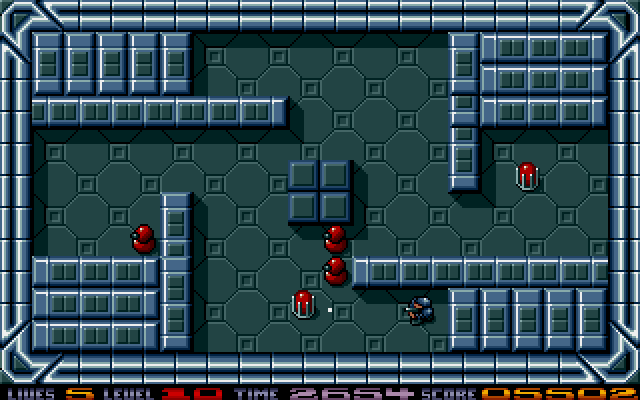 Each level has a unique design so will demand lots of precious time to master the tighter areas. 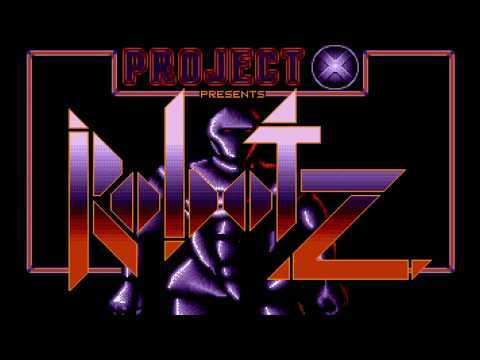 Developed by P Fox of ProjectX, Robotz is kinda like a tactical remake of the Berzerk genre. 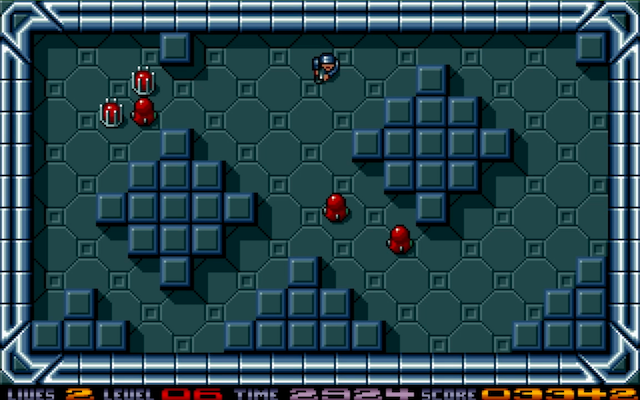 Each of the rooms is different and populated by a number of randomly placed robots which follow your movements in their own specific order (use that to your own advantage). We are armed with a one-shot gun which is my only gripe because it's rather restricting! 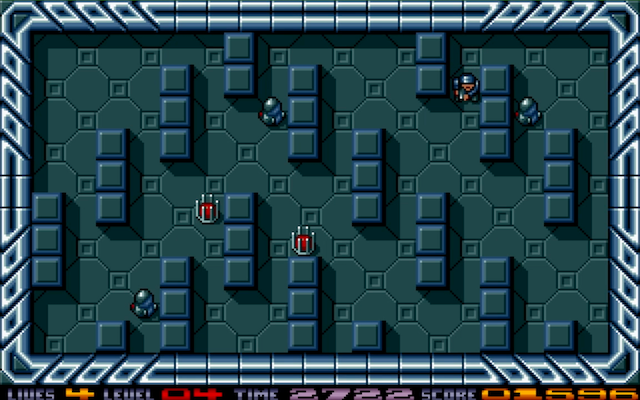 Especially as each robot is protected by a shield so your shots cannot destroy them but will stun for a few seconds. 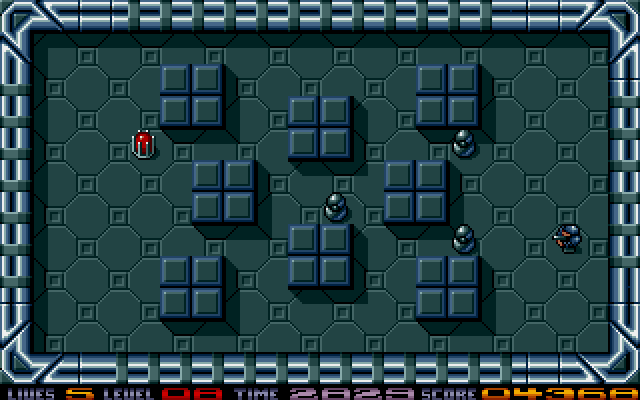 Ultimately, blast each generator into smithereens to leave the invading robots helpless! 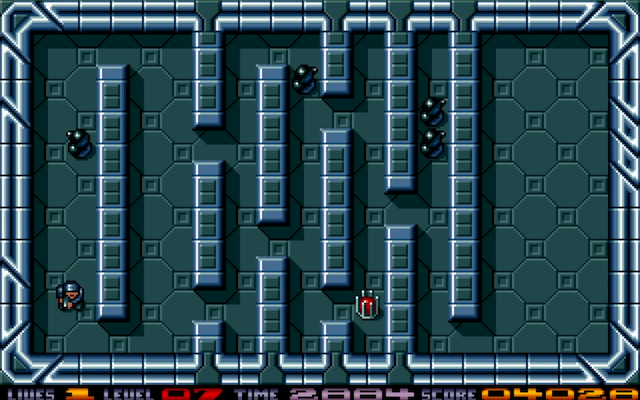 Some levels have more freedom to move but some don't and thus are extremely tricky. Sometimes it's easier to walk around... Oh no, the next level features TWO generators! 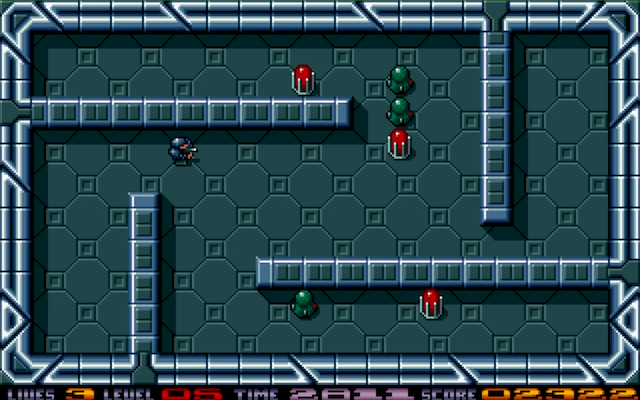 Thanks to ST Format, I think many have played Robotz but how long did you last before hitting the reset button? 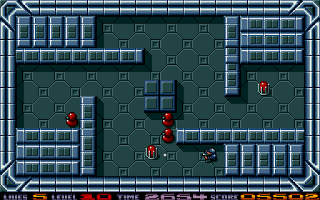 Personally, I think this is a cracking example of 16-bit Marmite but whether you will enjoy the stress and tension as much as I did is debatable. Yeah, Robotz is cruel yet tremendously addictive and highly recommended. Sampled voices play via Yamaha or on STe via DMA sound ? 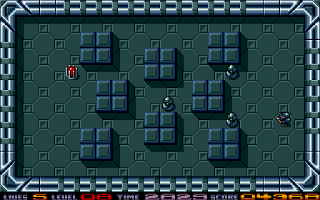 nice game from 1990's, I'm not around at that time yet, it look like bomberman on snes plus megaman. third person shooter!! It does appear that way from first glance but different with its own style and so additctive too.